The 41 companion videos for my book Using Microsoft Visio 2010 have secured a new lease on life, and are now freely available to all! 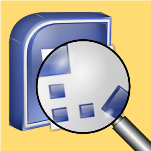 The Visio viewer is a free download that lets non-Visio-havers view and interact with Visio files. But did you know that you can incorporate it into your own software projects as a control?